S Sreeram conducts sustainable fitness classes that focuses on your health. The holistic programme includes workouts designed specifically for you. 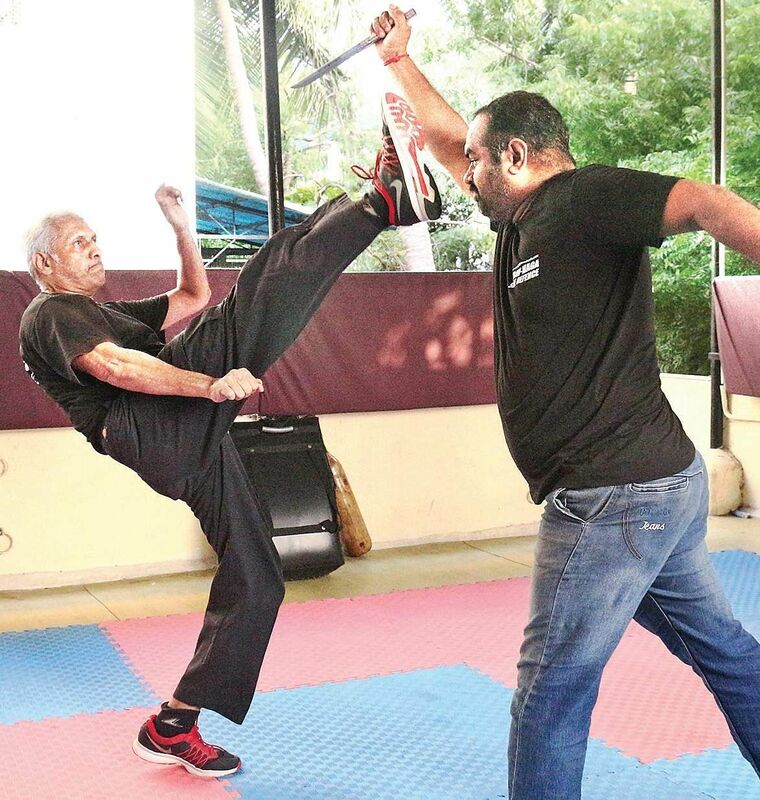 CHENNAI: When we greet S Sreeram at his Krav Maga training centre in Adyar, we anticipate this meeting will be an epiphany of sorts, for Sreeram’s greeting couldn’t have been more intriguing. And sure enough, a few minutes later, the 57-year-old demonstrates a high-kick to kick a dagger off an attacking man’s hand, and when we stare, perplexed, he kicks higher, showing the same move another 20 or more times. He appears completely unfazed and un-tired, and that’s the first question we ask him. “Fitness is not about age, it is about training the body despite of age,” he quips. We believe him — he is living, talking proof of his statement! But Sreeram was not always this fit; though he was a Karate black-belt during college, he admits that after that, the corporate life changed his lifestyle. 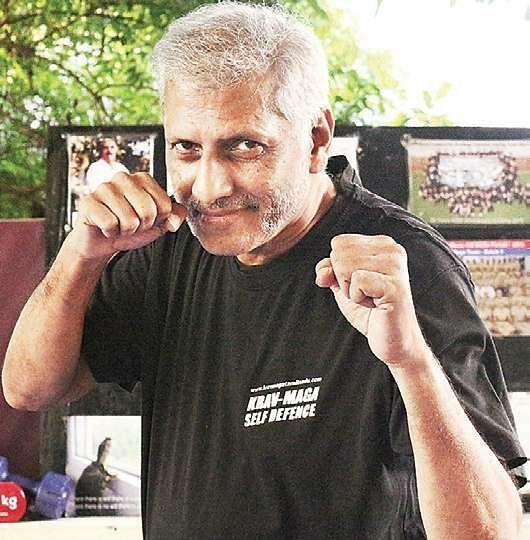 After three decades of consuming tobacco, alcohol and corporate life, he finally quit all of it to recover and started intense physical exercise in 2005, when he wanted to learn Krav Maga. “At 45, I felt my system was showing signs of aging — I couldn’t do many things that I took for granted,” he recalls. After training in Krav Maga in New Delhi, he quit his IT job and started teaching Krav Maga. Initially he was training only civilians, but soon started training police personnel and commandoes annually. He attributes this to two main reasons — stress-related injuries sustained during their practice and burnout at both physical and emotional level. “The tragedy is that some end up in a worse shape than they started with! People need to understand that their body metabolism slows down after 35,” he avers, emphasising that after 40, some injuries can be irreparable. After years of analysing and researching on the subject, he understood this unsustainability can be rectified with some simple common-sense implementations. “For convenience sake, I call it ‘Sustainable Fitness’, which is the concept of pursuing fitness in a phased manner without setbacks, so that aligns with your life goals,” he explains. Sustainable fitness is a programme that includes physical, emotional and cognitive workouts, custom-planned for every individual’s body fitness level and mind. “The programme also includes advice on diet, and physiotherapy. The fitness regimen is phased out giving ample muscle recovery rest-periods,” he explains. In addition to physical fitness, the programme also aims to develop emotional and mental well-being. “Krav Maga includes exercises to relieve stress, as it was originally developed for military personnel who always work under extreme stress conditions,” he says. Each class will also have cognitive games about logic, language, mathematics skills. A typical class will have a cyclical routine of fitness, stress-relief and cognitive exercises — holistic fitness being the goal. “We want to make small lifestyle changes so that people can benefit from health, in today’s world, everyday accumulated stress is vented out through weekend alcohol binges, late-night cinema etc. We believe that in the first part of your life, you give your health and make wealth, but in the second part, you give your wealth to regain your health!” he laughs. If you’re planning to include better wellness and fitness as your New Year resolution, now you know where to go! ● Physical exercises are varied — cardio-vascular, structural strength, flexibility, agility and balance; to prevent physical stress and mental monotony. ● In corporate programmes, cognitive fitness will also be addressed by inclusion of simple games to impact various cognitive skills like numerical, verbal, abstract, spatial and mechanical reasoning. programme will start at Adyar, T.Nagar and Anna Nagar. Corporate packages, packages for women and students are also available. Cost: `4,500 for three months.